I Won the Eric Ripert Cinco De Mayo Photo Contest! I'm so excited because I just found out that I won the Eric Ripert, AvecEric.com Cinco De Mayo Photo contest! Check out my photo and the other entries on Eric's awesome website. What I won: A brand new Olympus Stylus Tough Camera. Yippee! Wow I won! How exciting. Awesome prize too! 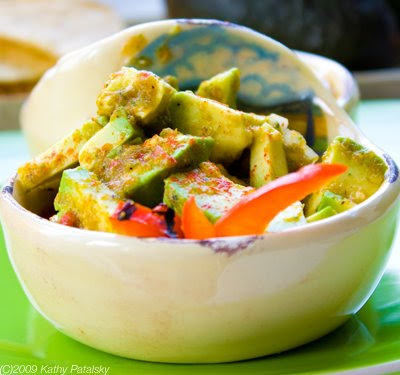 Score one for the vegan Salsa Verde Guacamole! 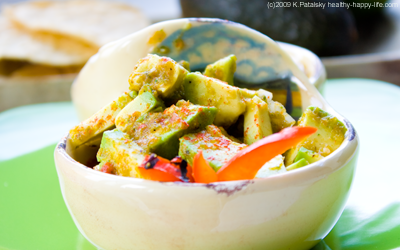 My recipe for Salsa Verde Guacamole is here. Also, here was my complete vegan Cinco De Mayo Menu post, inspired by the contest menu Eric posted on his site. Eric Ripert. I am a huge Eric Ripert fan. My dinner at Le Bernardin was one of my most memorable dining experiences ever. If you are in NYC for a special occasion, Le Bernardin is a do-not-miss experience. Food Photography Tops: I found this great page on Eric's website featuring food photo tips by Lou Manna.